Assistant Professor Marcelo Disconzi is one of 126 young scientists, economists, and mathematicians who were named 2018 Sloan Research Fellows. These prestigious two-year fellowships are awarded yearly to early-career researchers in recognition of distinguished performance and a unique potential to make substantial contributions to their field. This year, 20 recipients are from mathematics. The 2018 fellows each receive a research grant of $65,000 from the Alfred P. Sloan Foundation. Disconzi received his M.S. in mathematics, as well as a B.S. and M.S. in physics, from University of Rio Grande do Sul in Porto Alegre, Brazil. He received his Ph.D. in mathematics from Stony Brook University in 2012 under the supervision of Marcus Khuri. 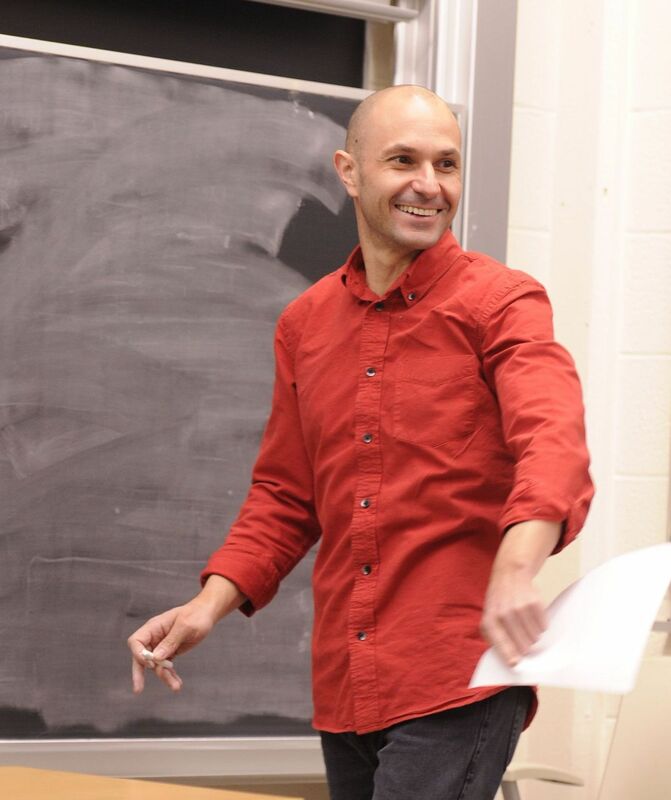 He joined the Vanderbilt Department of Mathematics as a tenure-track assistant professor in fall 2014 after serving here two years as a postdoctoral fellow. He was the 2014 recipient of the department’s Samir Aldroubi and Amira Azhari Prize for Excellence in Postdoctoral Research. The area of Disconzi’s research is partial differential equations and their applications to geometry and physics. Currently, he is focusing on the study of compressible and incompressible Euler equations, including generalizations such as free boundary problems, and the evolution problem for Einstein’s equations coupled to matter, especially Einstein’s equations coupled to the equations of fluid dynamics. He is a member of the department’s PDE research group, for which he coordinates the weekly PDE seminar. He also collaborates with researchers in the Department of Physics and Astronomy. One of Disconzi’s notable recent accomplishments is a proof of the existence, uniqueness, and causality of solutions to Einstein’s equations coupled to certain equations of relativistic viscous hydrodynamics. This result led to a fruitful collaboration with physicists, culminating in a method of modeling relativistic fluid dynamics that has profound cosmological implications. The new model supports the so-called “big rip” theory of the end of the universe, in which the expansion rate of the universe becomes so great that material objects disintegrate into elementary particles and radiation. His work in this area, in collaboration with physics faculty members, received widespread coverage in popular media and was featured on the cover of the fall 2017 issue of the department’s Spectrum newsletter. “Marcelo is an exceptional young analyst with a broad research program and original contributions in several areas, ranging from geometric analysis to general relativity theory. In addition to being a prolific researcher, he is also an excellent departmental citizen. I am very excited that he received the Sloan Fellowship,” said Department Chair Mike Neamtu, who was one of the nominators of Disconzi for the award. Three other members of the department have previously received Sloan fellowships; they are Vaughan Jones, Ralph McKenzie, and Jesse Peterson. A complete list of the 2018 Sloan Research Fellows can be found here.